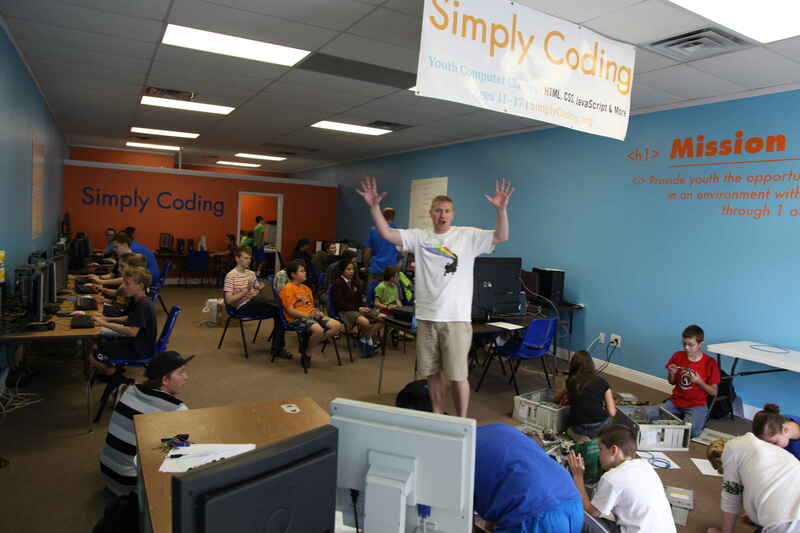 During the summer of 2013 Joe and myself (Seth) decided to host a summer camp to teach kids ages 11+ how to code a website. Because Joe comes from a family of 12 kids (and over 80 nieces and nephews) we had a built in audience to test our curriculum writing skills. It was awesome and a lot was learned! From there we have grown to serve 1000’s students every year ranging from after school programs, school curriculum, online pathways and summer camps. However, the process hasn’t changed. We still pay attention to how our students react to the lesson and use that modify and edit our courses. We see right in front of our eyes how they react to different lessons and where they go to first on a computer. With our background in the business world we marry the two needs to help your student become college and career ready in coding! Your son or daughter will learn how to code and we’ll also teach them how to present their code to gain an advantage in the real world. Seth graduated from BYU in 2007 then worked at Bloosky Media from 2007-2009. At Bloosky he worked with multiple programmers building an email marketing platform. Seth was in charge of software functionality and execution. Working with computer programmers taught him the need and value of learning programming for himself. In 2009 he co-founded a software company, Infiniti Media, which is still active today. From working with multiple programmers all over the world and seeing the great need for kids to learn this skill at a younger age, he founded Simply Coding in June of 2013. Seth wrote and designed all of Simply Coding’s courses with help from various programmers. Graduated from UVU in 2010. Joe joined Seth at Infiniti Media in November 2010. Joe has managed multiple servers, built many websites as well as trained many clients using Infiniti Media‘s software. He co-founded Simply Coding and was instrumental in testing and researching projects for all Simply Coding’s courses. Joe helps teach and design new courses. He also has a back ground in created products and works on new developments.